Boba tea, also commonly known as "boba milk tea," "black pearl tea" or "bubble tea," was first developed in Taiwan and has today become a favorite drink throughout China and in some parts of the Western U.S. The drink is especially popular with children, as this tea contains small, chewy pearls of tapioca. Despite this sweet ingredient, the tea is a healthy drink to incorporate into your overall diet. Each boba tea brand on the market makes its tea differently, offering a variety of flavors and new takes on the beverage. But nearly all boba teas contain three essential ingredients, which are green or black tea, milk and tapioca pearls. The tea is served cold or warm and flavor options include coffee, green tea, purple yam and chocolate, according to Fifty by Fifty, an Asian consumer research agency. The type of milk used in each tea can vary but ready-make milk is perhaps the most common. Fat content for boba teas varies from brand to brand. The type of milk that is used to prepare the tea plays the most important role in how much fat the tea contains. Whole milk or cream are higher in fat content than skim or low-fat milk. Keep this mind when purchasing boba tea and refer to the nutrition facts label for more information. As a reference, one American manufacturer of boba tea claims there are 24g of fat in its tea, with none being derived from trans or saturated fats. Based on a 2,000 calorie diet, the FDA suggests 65g of fat on a daily basis. If you are a carbohydrate-conscious person, boba tea may not be the drink of choice for you. Nearly all boba tea varieties are high in carbohydrates. The Lollicup USA Inc. boba tea producer cites on the nutrition label in the calorie section that its tea has 78g of carbs. From that number, nearly 52g come from sugars. While sugars, including those in milk, can deliver vitamins and essential fibers for your body, carbohydrates should be consumed within reason, according to MedlinePlus. Depending on which brand of boba tea you drink, the calorie content will vary. There is no set standard for how many calories are in each type of tea, but to give an approximation, the Lollicup states that there are 440 calories in its brand. From these calories, 216 are derived from fat. As with fat content, it is a good idea for you to check the nutrition facts label on the tea to find out the exact amount of calories. Green and black tea, which is most commonly used in boba tea, provide a number of exceptional health benefits. These teas have long been used in Eastern cultures to treat a variety of conditions and to promote a healthy lifestyle. Green tea is believed to help in treating diabetes and boosting metabolism rates, which promotes weight loss, according to the University of Maryland Medical Center. The teas also play a critical role in the fight against cancer. 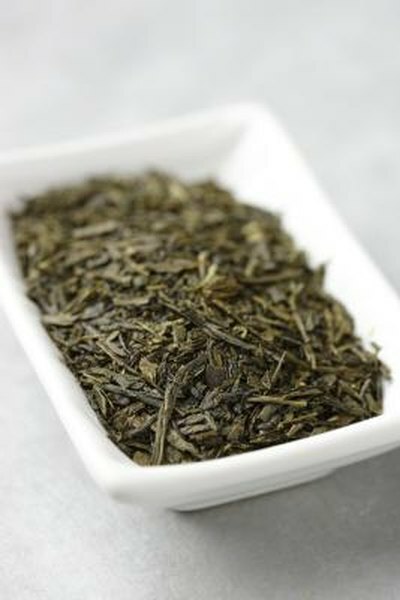 Clinical studies have shown that polyphenols in green and black tea may have the ability to help kill cancer cells, notes UMMC.